Share your app content with social media followers on a regular basis (weekly or even daily). The best part is, your users can easily share your posts with their followers and friends, thus driving more users your way! 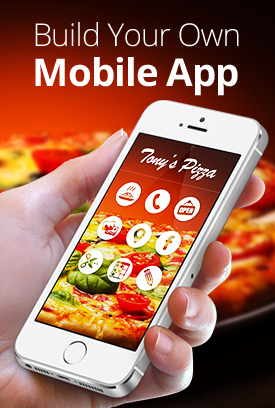 Promote coupons, loyalty cards, and special menus from your app directly on Facebook or Twitter. Select the Share tab from the menu on the left. Click Share on Facebook to post a link on Facebook to your mobile site. Click Share on Twitter to post a link on Twitter to your mobile site. How do I redirect my website visitors to my mobile site?